The giveaway is open to romance readers in the US, UK and Canada. 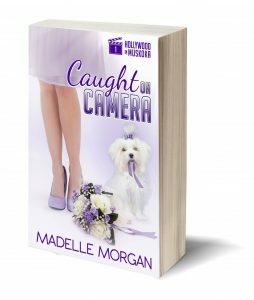 At each of the blogs on the tour, read the review and enter to win one of five (5) paperback copies of Caught on Camera, Book 1 in the Hollywood in Muskoka series. You can find all the tour stops here. Scroll down to Follow the Tour on that page. By the way, Seduced by the Screenwriter is currently 99 cents and a free read in Kindle Unlimited during this extended launch! Then in the spring it will revert to the regular price of $3.99, when the ebook becomes available from Kobo and Apple/iTunes. Note: you can also find the Review Tour links on MadelleMorgan.com. Scroll down to the tour banner. Enter at all the tour stops for the best chance to win a copy of Caught on Camera.